A sprawling metropolis in the state of Texas, Houston is also the fourth most populous city in the whole of United States. Lovingly referred by the natives as the ‘Space City’, Houston can be rightly touted as a global hub of business, culture, international trade, fashion, media, technology, education, sports, science, medicine, and even research. Renowned for its ethnic diversity, Houston is a popular destination for tourists and travelers from around the world. 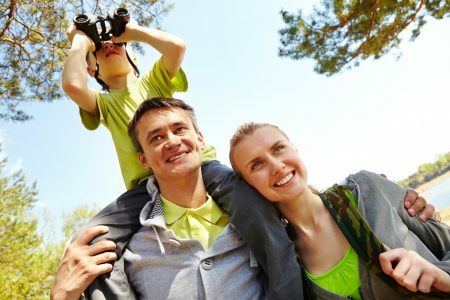 Have a look at some of the family friendly activities in Houston TX that you must certainly check out this summer. Splashway Family Waterpark – From the tallest head-first mat racer water-slide in Texas to a super relaxing lazy river, this massive water park has everything to ensure a fun and adrenaline pumping outing with your partner and the kids. Houston Zoo – There are hardly any kids in this world that do not love animals! So, if you wish to spend your day exploring exotic wild animals and their natural habitats, and feeding the majestic giraffes with your own hands, then the Houston Zoo is the perfect getaway for you and your kids. The Heath Museum – Take a tour of the Health Museum to provide your kids a fun learning experience of the human anatomy. Through the plethora of interactive exhibits displayed within the premises, you can enrich your kid’s knowledge about the human body and also learn about health and development yourself. Weather Center Houston – Check out the Weather Center, the oldest weather museum in the US. Help you child learn all about hurricanes, cyclones, tornadoes, and other natural weather disturbances like a pro. Space Center Houston – If you have an aspiring NASA scientist or astronaut in your family, the Space Center in Houston is the ideal place to take them to. If your kids are 14 years or more, you can also take the Level Nine Tour and grab a sneak peek at NASA’ behind-the-scene activities.